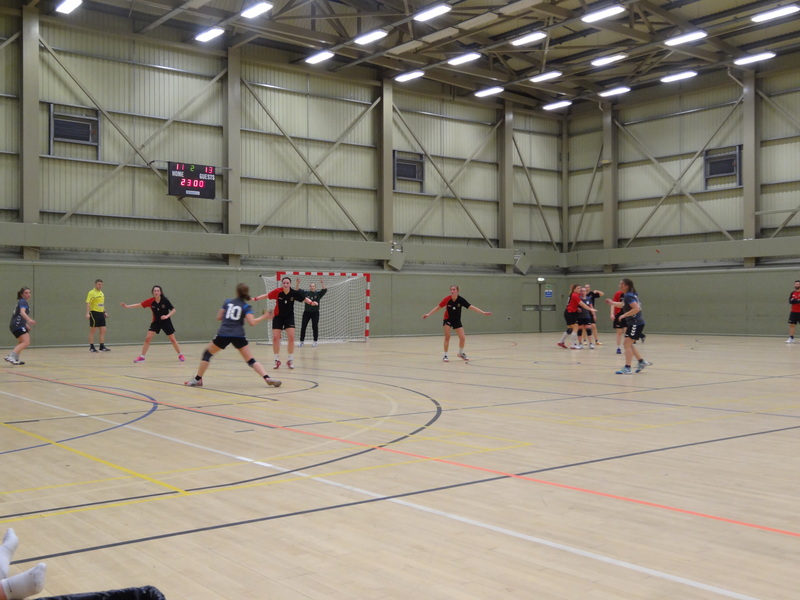 Last weekend both our Men and Women team travelled up to Dundee to play their first game of the new year. After all the Christmas pudding and New Year celebrations it was going to be tough. 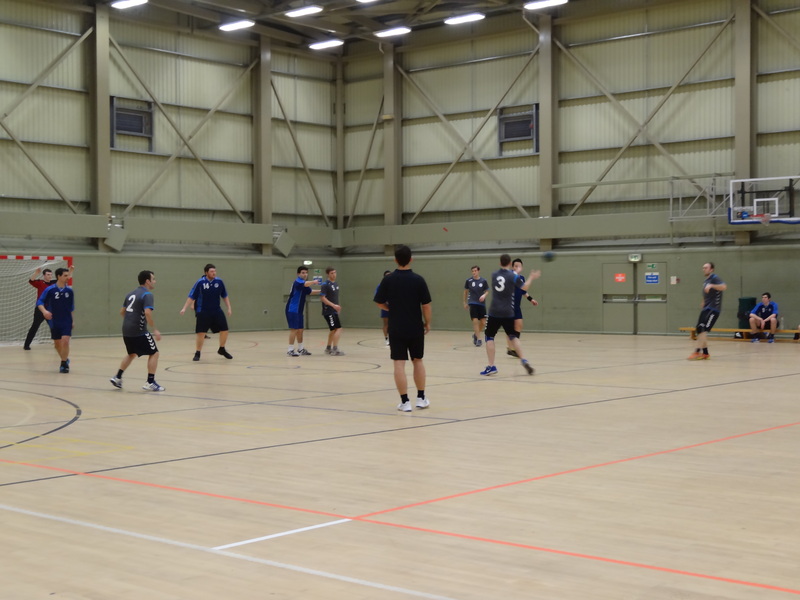 The games were played at the fantastic facilities at the Dundee International Sports Centre and this was to be the first time both teams had played a game on a full sized handball court (40mx20m). 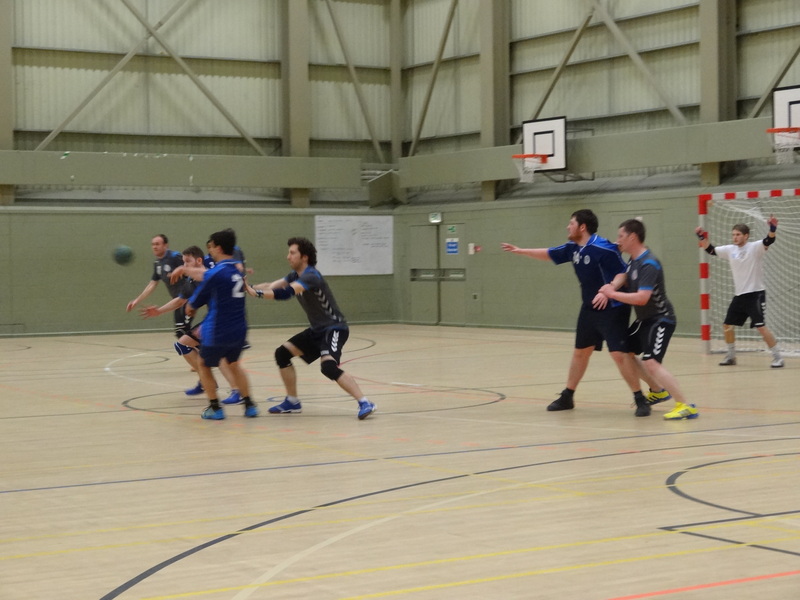 The 1st game of the day was the Men’s game: Dundee 2 vs Newcastle Vikings. The game had a slow and careful start with both teams trying to conserve their energy. It was an entertaining first half where the Vikings kept the score tight because of excellent work in their defence. Our newly appointed 3rd goal keeper started well in his 1st game, frequently frustrating the Dundee attackers with his fine saves. The score at half time was 9-6 to Dundee. The half time refreshments were desperately needed – player’s faces were red from the hot sports hall and the extra effort of covering those additional meters. Dundee started better into the second half. Some soft mistakes by us led to fast breaks that were easily finished by the experienced opponents and the difference in the score grew unfortunately as our attackers were unlucky on a few occasions in hitting the metal framework. Towards the end of the game our team grew noticeably tired, whereas the Dundee team with their extra experience could fight on through the last minutes so that by the final whistle blow the game ended 22-13 to Dundee. Although the Vikings were disappointed it was their best performance over 60 minutes this season and they can build on that strong first half performance in the next games! The Dundee Women vs Newcastle Vikings Women immediately followed. This was a very tight game right from the outset. The score was tight and both teams were close together all the time in a low scoring game due to strong defence work on both sides. Our Vikings tried hard to get the Dundee defence moving to find gaps that would allow them to score. Both keepers showed great concentration and made some good saves. With only one extra substitute on each team, the game was always going to be a tiring one, but it was made even harder for the Vikings by an injury to one of our players half way through the 1st half so that none of our players could take a rest. It took a tremendous effort to end the first half 6-5 to Dundee. But with the Vikings a player down and looking exhausted you couldn’t help feeling Dundee were in a strong position! However, Vikings never give in! Refreshed from the half time break, cheered on by the freshly showered Men’s team and their injured player recovered, the Vikings finally found their movement in attack where some excellent passes from the back players to the wing or the line’s player found their way into the goal. This great team play resulted in some of the Dundee players receiving 2minute suspensions which allowed the Vikings to pull away ending with the final score of 12-15 to the Vikings! Not surprisingly after the 60min whistle the joy of the Vikings to have won this physical and exhausting game was great! The fantastic facilities and a great crowd supporting all the teams made for a very enjoyable day of handball. Many Thanks needs to be given to the Dundee team for hosting such a great match day! 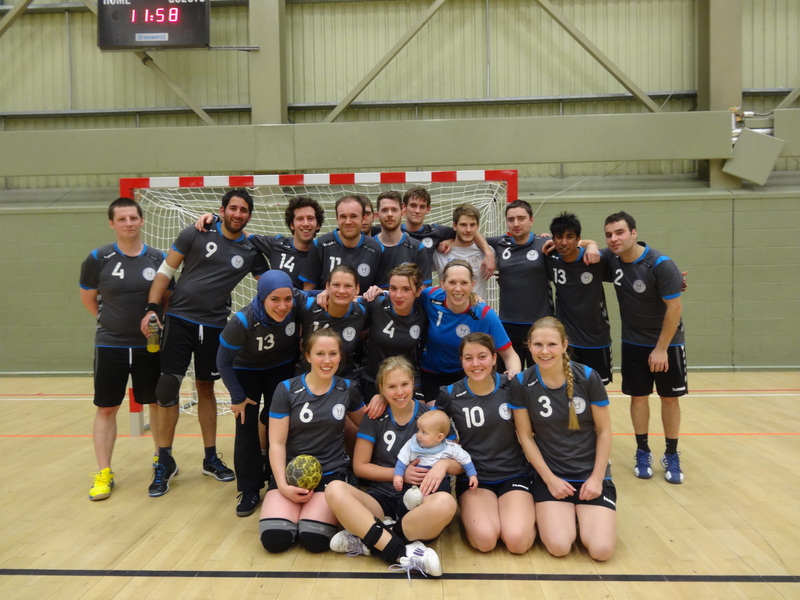 Previous Post:Junior handball in Newcastle is taking off! Next Post:If you are between 12 and 16 years of age, why not give handball a go!